Massimo Bottura is simply unlike any other chef I’ve ever met. He effervesces with creativity and talks quickly and passionately mixing art, jazz, memories , families and humour in a way that is utterly mesmerising. So I knew I was in for a treat when he cooked lunch for lucky press last Monday before doing a one-off dinner in the evening too. 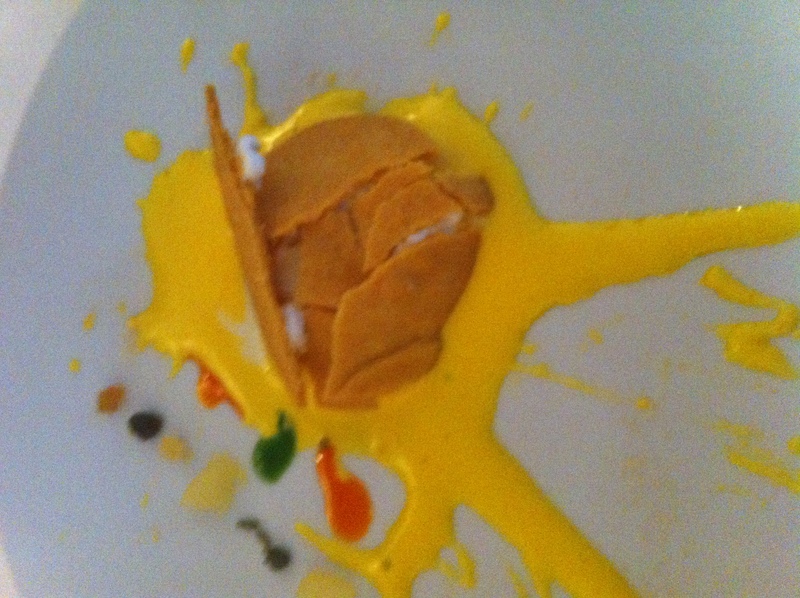 It could never quite capture the magic of eating at Osteria Franciscana among their incredible collection of modern art with Massimo darting out of the kitchen and Lara Gilmore, Massimo’s brilliantly incisive wife interpreting the dishes, though it came close…. Highlights were my favourite An Eel Swimming Up the River Po – lacquered with the most incredible grape must and the delectable Oops I Dropped the Lemon Tart with the zing of Sorrento lemon off-set with the saltiness of capers from Pantelleria, hot pepper, bergamot and oregano plus sheer decadence of croccantino of foie served with a glass of Sauternes mixed with Massimo’s Villa Mandori balsamico traditionale.